If you liked this show, you should follow InsideOut LIVE Traci SCampbell. Today on Inside Out LIVE! with Traci S. Campbell, meet Eva Niewiadomski, founder of Catalyst Ranch in Chicago. Catalyst Ranch is the venue sponsor for BIBO Tour Chicago 2013. Eva will share her vision behind creating such an eccletic, unusual, and much sought after meeting and event venue as well as WHY Catalyst Ranch strongly believes in the mission of the BIBO Tour. Traci shares easy and effective ways to tranistion our skin from summer to winter in gain mental and spiritual independence and enhance our in our Beauty In/Beauty Out Advice and tips segment. And our headliner guest is Tress Thomas, former child actress and founder of Thyck Troupe Chicago that highlights and celebrates the talent and beauty of curvy and plus size women. She will tell us all about her experiences as as child actress as well as her current project Curves. Couture. 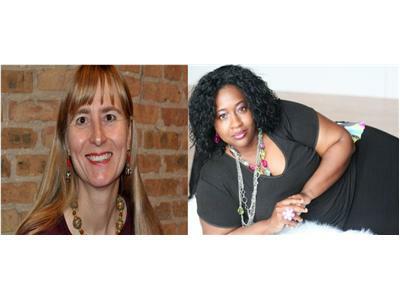 Chicago event for curvy women and big and tall men during Chicago's Fashion week. Tressa is also a nominee of BIBO Tour Chicago 2013!